Olympic dreams led Mike Edwards to start his own lifestyle brand. Learn how adversity and challenges fueled his entrepreneurship and the development of his cigar brand. Mike Edwards is a professional athlete and serious entrepreneur. Born in Manchester, England, and raised in Florida, Edwards launched his own lifestyle brand centered around his personal interests: fashion, grooming and cigars. 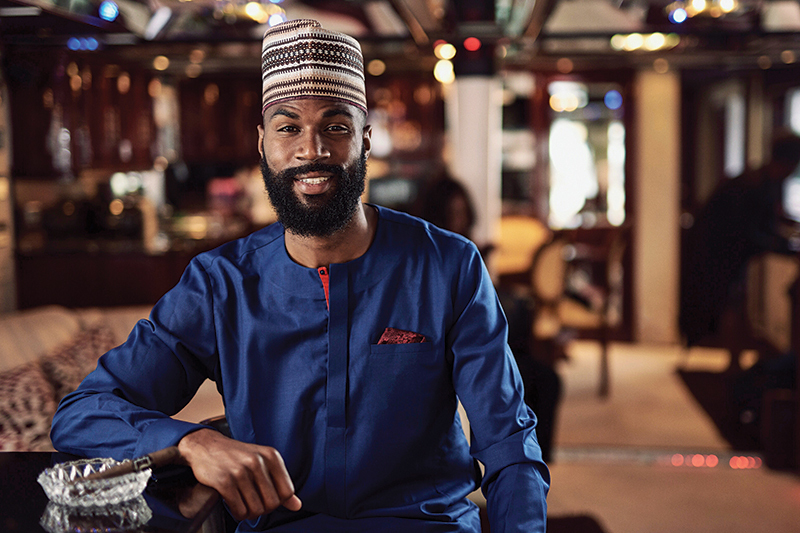 Edwards’ brand, called Aireyys, is all about the gentlemen’s culture and showcasing different aspects of his own African, European and American heritage. Although he remembers his first experience with premium cigars as being less than stellar, his fondness for the product category grew over time. Aireyys began with beard oils, but Edwards claims that he always knew that his personal brand would one day include cigars. While training to become one of England’s top high jumpers, Edwards traveled to New York City to study cigars and to learn how they were rolled. 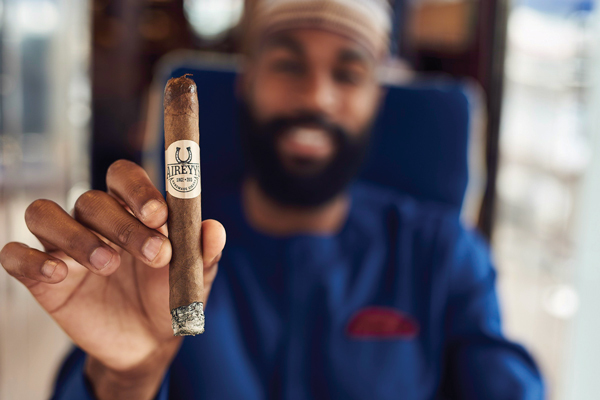 In 2017, the first Aireyys premium cigars were released, making Edwards the first black British cigar brand owner. Edwards recently spoke with Tobacco Business and shared his insights on how embracing differences can give an entrepreneurial pursuit a major boost. Tobacco Business: Tell us more about you. Mike Edwards: I was raised by a Nigerian mother and Jamaican stepfather in a small intercity within Manchester called Moss Side. I spent the early years of my childhood in Moss Side before moving to Orlando/Kissimmee, Florida, with my mother and three sisters. It was during my high school years that I discovered my interest in athletics and the high jump, which earned me a full athletic scholarship to university. I graduated from Embry-Riddle Aeronautical University via the University of Alabama and the University of Louisville with a B.S. in communications. I then decided to move back to Britain to pursue a professional athletic career. You have your own lifestyle brand, Aireyys. What was the motivation behind launching your own brand? And at what point did you decide to include cigars? The motivation to start Aireyys was to fund my Olympic aspirations. I couldn’t afford to work full time and neglect training, so I decided to create something I was equally as passionate about investing my time in: That’s how Aireyys was born. It was during the second year of establishment that I decided to introduce my own cigar line, Aireyys Black Label Cigars. During the early days I rolled each and every cigar by hand. Did you worry about associating your personal brand with tobacco? There was never any reservation toward associating my brand with cigars. In fact, by doing so, I hope to change people’s perception [of] cigar smoking. I come from a background where smoking cigars is celebrated with success. What is your favorite part about running a cigar business in England? What is your least favorite part? My favorite part of running a cigar business in England is the respect earned. My least favorite is still unknown. You are known for being the first black owner of a cigar line in England. What does that mean to you? Being a black entrepreneur means I’ll always have a target on my back. It means I will have to work 10 times harder than my competition, and giving up is never an option. What makes your cigars unique and different from others on the market? My cigars help solve a serious problem in the world. Each cigar sold provides clean drinking water for an entire year to a person in need in developing nations. When you’re enjoying an Aireyys cigar, there’s always a good reason to celebrate. How are you weaving or blending your heritage into your tobacco products? In all my products, I’ve blended in my heritage in some sort of fashion. However, my latest Aireyys Roots cigar is on a different level. The premium wrapper used for this cigar is grown in West Africa Cameroon, next door to my mother’s homeland of Nigeria. I’m so proud that I’m able to showcase such a genuine product like this to the world. What advantage do you believe diversity provides you and your business? Diversity is a huge advantage. The cigar culture for many years has been known as an old men’s club, but in recent years there’s been a dramatic increase in the cigar smoking community, including women. I’d say I’m a market disruptor, simply [due] to the fact that even with the new advertisement laws and regulations of tobacco goods, Aireyys still has a strong global presence, and it is already Britain’s largest cigar line. You just mentioned Aireyys’ global presence. How has taking an international approach to your business helped you to grow it? I’ve always seen myself as a global citizen. It’s allowed me to grow and learn from like-minded individuals. I’ve applied this same approach with my business. What is the most valuable lesson you learned while building the Aireyys brand? Sometimes your disadvantage can become your biggest advantage. What’s the best piece of business advice someone’s ever given you? If you had to give someone three tips for how to build and maintain their own personal brand like Airreys, what would those tips be? Study your competition, don’t be afraid to have an opinion, and find what makes you different and embrace it. 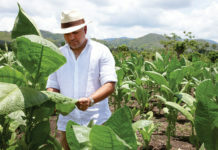 This story first appeared in the September/October 2018 issue of Tobacco Business magazine. Members of the tobacco industry are eligible for a complimentary subscription to our magazine. Click here for details. – Story by Antoine Reid, an editor and digital content director for Tobacco Business Magazine. You can follow him on Instagram @editor.reid. Photos by Photos by Arnab Ghosal.